BE SURPRISED… Agnes Water…a beach holiday, the way they use to be. Sealed roads to access Agnes Water and 1770, no more dirt roads! 1770 is the only town in the world with a number for a name! We’ve got two supermarkets, plenty of cafes and restaurants, 5 campsites, dozens of accommodation options, 4 backpacker hostels, 2 pubs, a petrol station (there is NO LPG option), art gallery, museum, an abundance of wildlife and fantastic nature walks, reef cruises, kayaking, sup, surfing lessons, environmental LARC! tours and SO MUCH MORE! 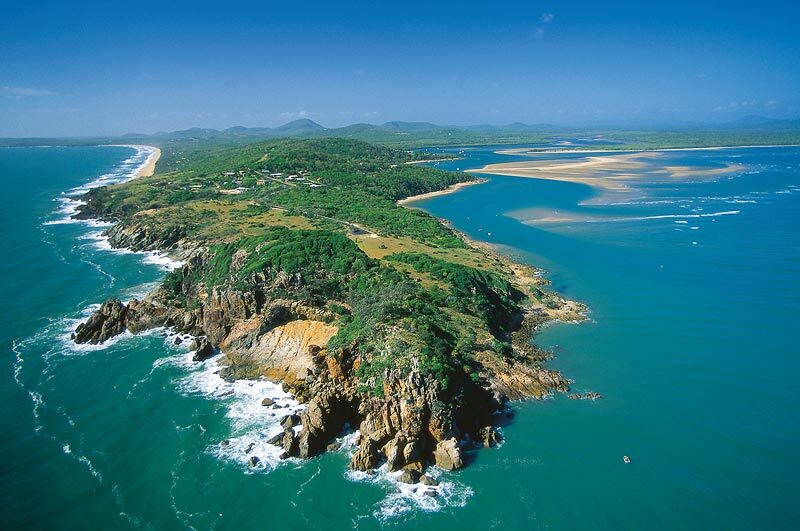 North of Fraser Island and south of The Whitsundays (Airlie Beach). We are located on Australia’s east coast halfway between Gladstone and Bundaberg. Call in and see what others are raving about. Treat yourself to a holiday in a destination that only few people have discovered, a beautiful seaside town nestled between the glorious coastline and pristine national parks. No need for stinger suits here. The Southern Great Barrier Reef is very safe. No crocodiles and no deadly marine stingers. Enjoy the endless golden sand beaches, the magnificent estuaries, the unspoiled coastal rainforest, National & Marine parks encircling the Town of 1770/Agnes Water, or the view atop one of the most vantage point in the area. Gaze out into the clear waters and coastline that have changed little since 1770. Learn about the historical legacy of European settlement at the Agnes Water Museum that houses a superb collection of Discovery Coast and Maritime history, including extracts from Lieutenant James Cook’s diary noting his visit to Bustard Head in the year 1770. The Joseph Banks Environmental Park preserves much of the peninsula with fauna and flora indicative of the area. Rugged granite rocky outcrops, both an outer surf and inner still water beach, and holiday accommodation in houses, apartments and two caravan and camping parks cater for visitors. Two restaurants are located here, as is a general store and small marina. Agnes Water township and beach is located eight kilometres south. Town of 1770. Lieutenant James Cook made the first landfall by a European on what was to become the Discovery Coast and the Birthplace of Queensland. The area also offers safe swimming with beaches patrolled by lifesavers during peak seasons. For board riders, the point break at Agnes Water is a constant attraction. Each March, surfers converge on the area for the Sunrise at 1770 Longboard Surfing Classic. Discover the magnificent reef and coral cays that form the Southern part of one of the world’s seven wonders. Visit the Great Barrier Reef, explore the national parks and forests, kayak, sup, LARC! environmental eco-tours, joy flights, scenic flights, 2 day 2 night camping trips, bicycle hire, scooteroo motorcycle chopper tours and much more! Plan your holiday to stay longer… You won’t want to leave when you’re living on Agnes Time. To suit your needs and budgets, Agnes Water and 1770 offer luxury resorts and holiday apartments to beautiful beach houses, backpackers’ hostels, B&B’s, cabins and camping grounds. With 8 lovely cafes, 6 fantastic restaurants, an authentic European wine bar and bistro, a real Aussie fish and chip shop and so much more, you’re spoilt for choice!